The sport of roller derby is constantly evolving - from its start in the roller marathons of the 1880s, to a more recognisable contact sport on roller skates in the 1930s, to the game we play today. The WFTDA rules set is constantly updated to improve the game (and to give me the fear every time our annual rules test comes round, I suspect). Even the language we use has changed: they're not bouts any more, we play games and we're no longer the Glasgow Roller Girls, we're Glasgow Roller Derby. It occurred to me that it would be good to have a look back through GRD's past, and for my first in this series of nostalgic posts I've jumped way back to a time of themed bouts, fishnets and mini-kilts: GRG's first ever bout on March 29 2008. 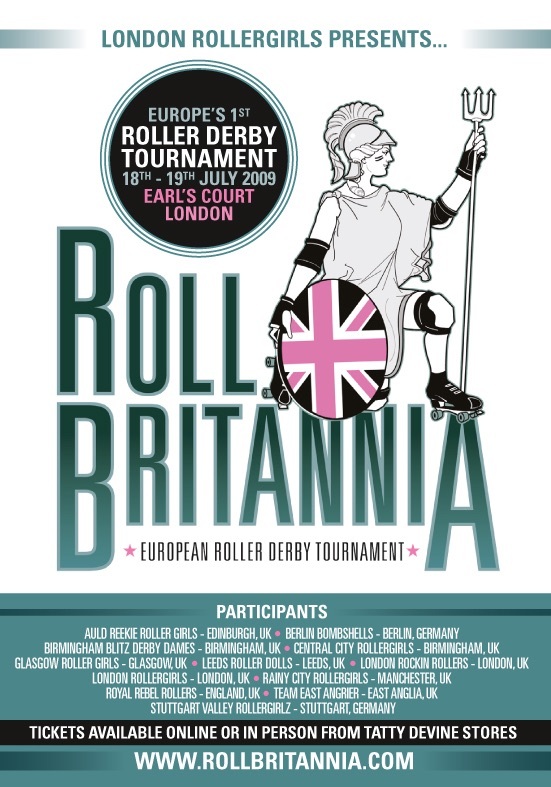 The poster for the Riots of Spring bout between London Rollergirls and Glasgow Roller Girls, 29 March 2008. At that time, we were a one-team league and the Irn Bruisers made the long trip down south to face up to London Brawling. It was a tough game against a more experienced side and ended in defeat for the Bruisers (featuring some guest skaters from Birmingham Blitz Dames, Central City Rollergirls and London Roller Girls) with a final score of 163-31 to Brawling. While it wasn't a happy ending, I'm sure it was a great learning experience and I love that LRG's bout report includes comment on the band, Earl Grey & The Tea Ladies, who played at half time! Something else which has changed: these days we just give awards to the Best Jammer, Best Blocker and MVP but back in the day we also celebrated Penalty Queen (it really is what it sounds like!) - Bette Noir for LRG and Jaci Dodger for GRG. This is to be the first in an ongoing series of blog posts on GRD history - I've only just started digging and have struck gold with some absolutely brilliant old photos, videos and posters - so keep checking back for more! If future events are more your thing, check out our Events Page to see what's coming up.